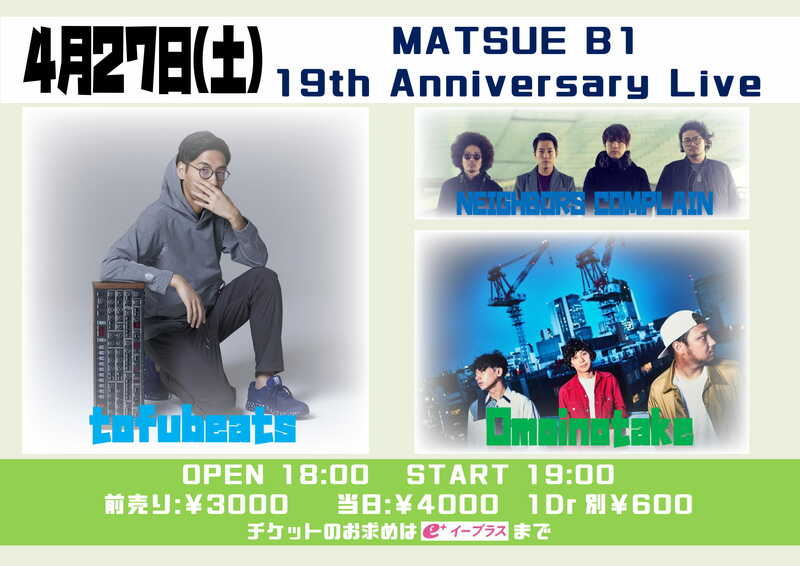 LAWSON、e+にて 4.6(sat) Ticket on sale!! 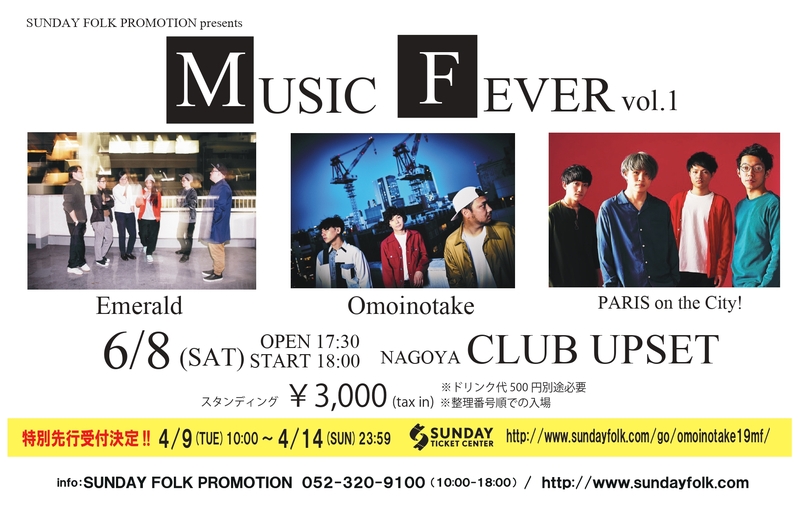 FEVER店頭にて 4.6(sat) Ticket on sale! 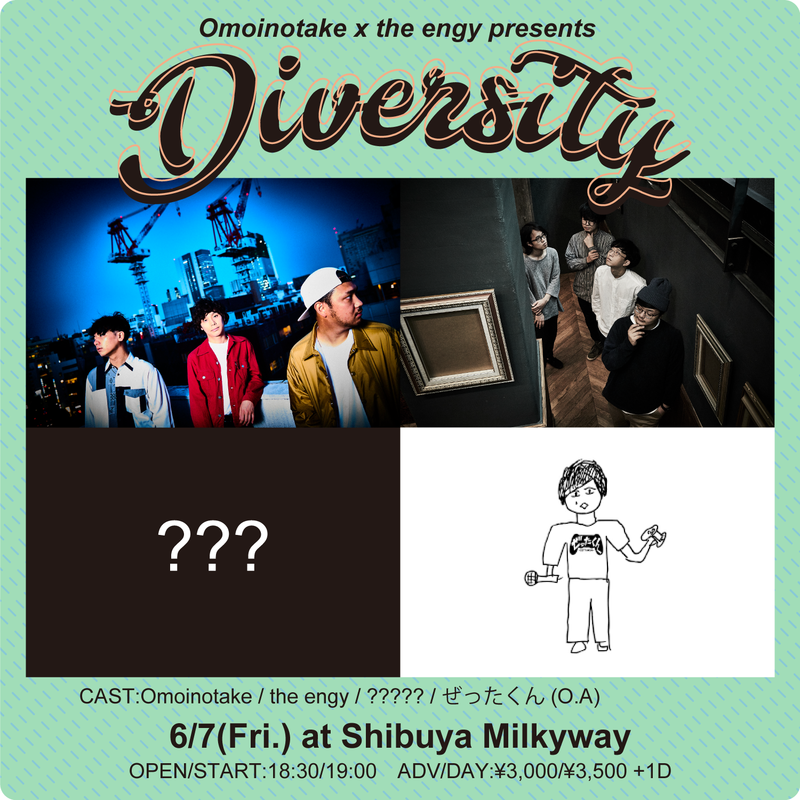 Omoinotake × the engy presents "Diversity"
CAST：Omoinotake / Emerald / PARIS on the City!